Before the trip, we made a list of things do and it was extremely difficult to cut some of the activities from the itinerary. Instead of cramming in every single item on my original list, I adopted the mentality that there is always going to be another trip (and there will be). Therefore, I already have a list of going of activities to include on the next trip. 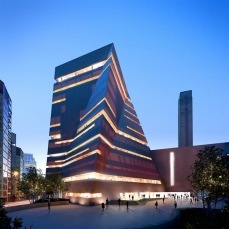 Tate Modern – we walked past the outside after our stroll on Millenium Bridge, but we never made it inside Tate Modern (see the modern planned addition in the picture to the right, from the museum website). In addition to enticing temporary exhibits, the museum houses permanent collections of Monet, Matisse, and Picasso (and more! ), which I thoroughly enjoy. Victoria and Albert Museum – a museum different from the others, featuring decorative arts of all types from all over the world. 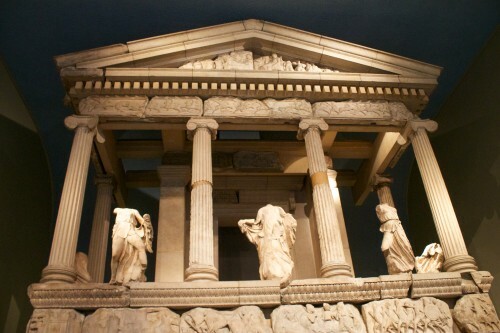 It isn’t one of those museums that screams “London,” so it didn’t make the cut for my first trip, but it’s something different and I plan to visit it on the next trip! Some of the items include jewelry, furniture, clothes, glass and much more. British Library – I will admit, I just really want to see the Magna Carta after learning about it year after year in history class. We didn’t make time for it this trip, but it’s something I can look forward to for a future trip. Luckily, it’s free so I won’t feel obligated to stay too long. National Gallery – We each paid £4 for the “Manet to Picasso” audioguide, with about 20 or so paintings selected in a brochure (spread out among 5 rooms). There were about 6 options for audioguides. The device itself was the same for each one; what differentiated the guides was the brochure that came with it – it helps the user focus on specific paintings (and lets you know which room they’re in!) and provides the audioguide code for some of the popular paintings (the codes were not available for all paintings). That being said, the majority of the audio files were accessible to anyone that paid for an audioguide. Next time we will plan to do two different “tours” (the other one that tempted me was a “best of”-type guide) so that we can take advantage of two sets of the carefully selected paintings. British Museum – we did the Rick Steves audio tour (they are entertaining and include a lot of information – download them on your phone before you travel), which brought us through the Egyptian exhibit (including animal statues, slabs with hieroglyphics, and mummies), the Assyrian exhibit (the Nimrud Gallery stole the show), and finally ending up in the Greece exhibit, which houses the Nereid Monument (pictured above) and the Elgin Marbles (originally on the exterior of the Parthenon). The room (separated into three parts) with the Parthenon remains was very spacious and the crowds were no issue. We covered the highlights, but there is so much more to the museum that I hope to explore on the next trip. Kew Gardens – a 300-acre botanical garden, just outside of the city of London. It’s right off of the River Thames, so you can actually take a boat there from London. I can’t imagine a better way to escape the city than admiring a beautiful garden! There are even free tours of the gardens offered daily. Also, with some extra time, I would visit the nearby Hampton Court Palace. 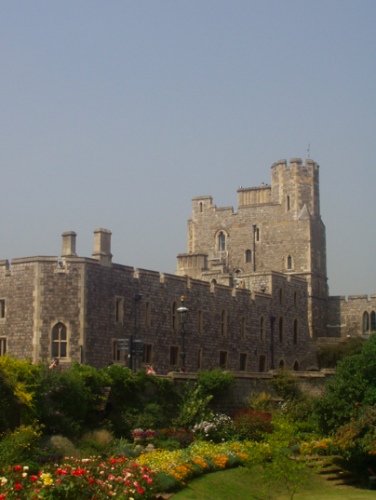 Windsor Castle – it’s Queen Elizabeth II’s primary residence and it’s open for tours! The ticket price includes an audioguide and admission into the State Apartments, Queen Mary’s Dollhouse (a miniature version of the palace), the Drawings Gallery, and St. George’s Chapel. You can also take a free tour of the grounds (that lasts 30 minutes) that depart twice an hour. It’s also very easy to get to Windsor Castle – either a 30 minute ride from the Paddington tube station (with one easy change) or a 50 minute ride from the Waterloo tube station (direct). The picture to the left is one of Windsor Castle that Ryan took on a trip he took 10 years ago. Stonehenge – if we visit London in a month other than November, we already have a plan for our visit to Stonehenge. Instead of visiting Stonehenge during normal operating hours, we would book ahead for the Stonehenge Stone Circle Access tour (the tour was not offered in November – I am assuming this is an annual closure). This allows a limited number of visitors access to the inner circle of the stones, either before or after the site is open to the public. There is not a tour guide or audioguide, so bringing a book with information is a must. We would also book a taxi service instead of taking a train plus a bus to Stonehenge, which would save some time and also allow us to possibly add another site to the itinerary for the day! After writing all of that out, it seems like our next trip is practically planned. There is just so much to see, do, eat, and enjoy in London. It’s one of the cities that we plan to return to many times, maybe even as soon as two years from now! This entry was posted in Things To Do, Travel, Travel Planning and tagged England, Europe, London, travel planning, UK by Kristin. Bookmark the permalink.